Why Should You Hire A Licensed, Insured And Certified Roofing Contractor? If you are planning on starting a roofing project, you need to find the best roofer for your needs. It takes time to find a good roofer and the most important attributes to look for include licensing, insurance and certification. Here are some of the reasons why you need to hire a licensed, certified and insured roofer for your project. If you take a look around, you will find a lot of unlicensed roofers trying to offer their services. Actually, you might be tempted to hire them because their prices are considerably cheaper than what the licensed roofers are quoting. Remember, you will always get what you pay for. If you choose to hire the unlicensed and cheaper roofer, you are giving up too much. For instance, they might offer shoddy workmanship and practice unethical things that might end up costing you a lot more money in the end. Therefore, you should take the time to find out whether the license is valid. If possible, contact the local licensing board to determine the same. For roofers to become licensed, they need to prove their expertise in the roofing niche by passing tests. A licensed contractor is an indication that he is knowledgeable of the latest practices in the roofing industry such as installation, maintenance and repair. Additionally, they are aware of all the regulations and permitting rules before handling a project. A certified roofer has gone through the updated requirements in the roofing industry to provide the required services affordably and with the right knowledge. 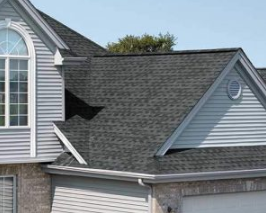 If you choose to hire an unlicensed or uncertified roofer, you cant enjoy this guarantee. Any roofing project has its own share of accidents. Remember, roofers have to climb ladders among other things to get to the roof. Any slip and fall would be detrimental to the person ; health and would also result in the destruction of property. Therefore, you need to hire an insured roofer to make sure that the liability doesn’t fall on you as the client. A good roofer should have worker compensation and liability insurance policies in hand before they accept any roofing jobs. Its your job to assess the validity of these policies by contacting the insurer on record. Make sure you are completely covered because if any accidents happen now or in the future because of the job they have done, you will pay everything out of pocket. When you hire a licensed and certified roofer, you will not be asked to make any illegal payments. When a roofing project commences, you will be asked to pay a deposit of the work to be done. The deposit depends on the total charges for the entire project. Different states have varying limits on the amount of deposit to be paid and the licensed roofers know the exact amount. A licensed roofer, precisionroofrepair.com will not force you to pay for the project upfront then fail to complete the work or provide shoddy work. As the client, having a written contract provides you a lot of protection before the roofing project commences. The best and licensed roofers offer written contracts with proper details about roof repair issues. For instance, the contract should have information regarding the materials to be purchased, the timeline for the work, the scope of the project and much more. Therefore, ask for a written estimate and make sure there is a contract in place before the project commences. Dont forget to read the fine print to make sure you are protected in the event of anything.